Recently, The Oregon Health Authority’s Office of “Healthy Kids” highlighted Northwest Family Services. 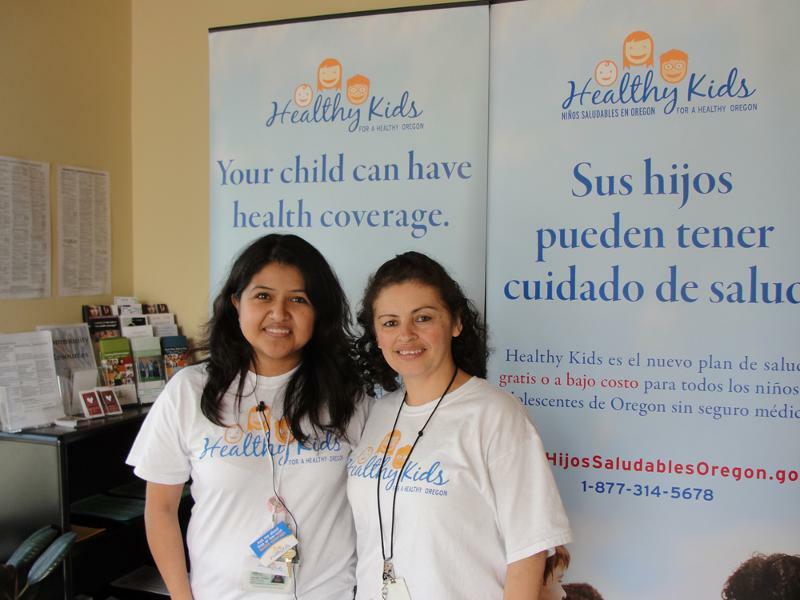 Healthy Kids is a program that enrolls kids and teens in FREE or low-cost health insurance. This week’s Partner Spotlight shines on one of our Healthy Kids Grantees who has been around since the beginning of Healthy Kids – Northwest Family Services (NWFS). They have consistently improved their numbers and expanded their outreach each year. During their first year, they were able to help with 38 applications. Then in their second year, the number of applications assisted with jumped to 270. To date, NWFS has helped with over 519 Healthy Kids applications! It seems like every weekend they are attending a community event promoting Healthy Kids. Through their great work, they’ve developed a number of sustainable relationships with agencies and organizations throughout Clackamas, Multnomah and Washington counties. NWFS has forged a strong partnership with the homeless liaisons in schools throughout Clackamas County. Due to these partnerships, more and more homeless and unaccompanied youth are getting access to the services they need. NWFS has also helped over 60 children and teens with enrollment for KP-CHP, a program available to children and teens who don’t qualify for Healthy Kids because of documentation status. One unique partnership that NWFS has succeeded with is Job Corps sites. Job Corps is a no-cost educational and vocational training program that helps young people ages 16-24 improve the quality of their lives. Many youth at these sites don’t have health insurance and many times are unaccompanied. NWFS has helped to ensure these youth have access to the services they need. Thank you to NWFS for all of your great work!